The National Board's monthly webinars are a step-by-step guide on how to prepare for the written and oral certification exams. The webinar will focus on the development of the exams, what to expect and navigation of the computerized platform, content, and more. Participating in the webinar is the best way to prepare to become a CMI. Note: No CEUs will be granted for this webinar. 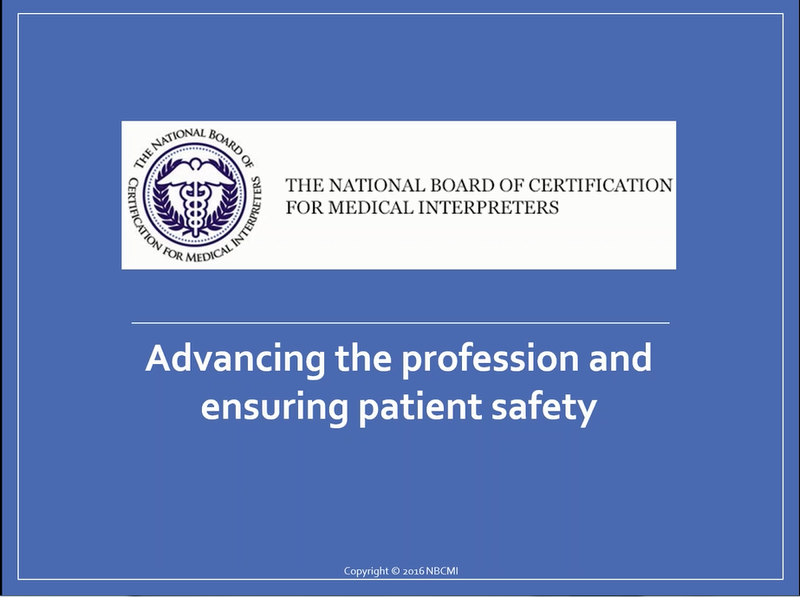 The National Board of Certification for Medical Interpreters' Free Informational Webinar occurs monthly. When you click on the registration button below you will have the option to select the date and time that works best for you. This is a free webinar, and no CEUs are granted.